Bush Flying – A Flying Holiday Adventure! 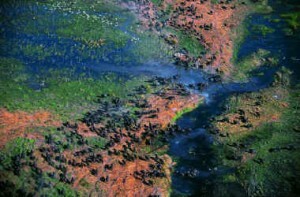 While flying into the bush is fun, there is certain seriousness about it. It is a different experience and calls for a lot more care and observation from the pilot. Many places and lodges are far away from the main airports and can only be reached by air or 4×4. The landing strips at lodges are generally fairly maintained and will be cleared before aircraft are landing if they are advised of ETA in advance. There are other landing strips, though, that might not be maintained and could become quite unusable, even overnight. Flying in the ‘bush’, either in remote areas or private strips at farms or game lodges requires some preparation and a fair bit of practice. There are a couple of operations, e.g. SKYAFRICA, who offer Bush Pilots training courses and BUSH AIR who offer more advanced courses and survival skills on flying and landing in remote areas and mountains. These training courses are extremely valuable to pilots wishing to enhance their flying skills, build up their confidence and ensure that extra bit of knowledge which can be life saving if they find themselves in dangerous situations. When flying into unmanned and unknown strips it is wise to make at least three inspection circuits, the first one at 1000ft agl to establish circuit and note landmarks and magnetic headings as well as establishing the length of the runway using speed versus time from threshold to threshold. Circuit 2 is flown at 500ft agl (or 300ft) slightly right of the landing path. Check for large obstacles and obstructions, ditches, animals, wires, fences, on a one-way runway check the minimum altitude for a go around – return to circuit height. Circuit 3 can be flown at 50ft agl about 50 yards or meters to the right of the most suitable landing path. Check for obstacles, approach path overshoot and undershoot, holes, mole hills, ant heaps, fences, long grass, slope of the field and animals. Also verify altitude of the field. Landing on a strange field this should be carried out at the lowest speed and in the shortest space practicable. Touch down as near the threshold as possible. Landing on a bush strip can be full of surprises, i.e. warthogs or game suddenly appearing. Prepare yourself mentally for a last minute go-around. Walk the whole length of the strip to check for holes and mole hills. Remember your rotation speed for a short field flap settings and trim the aircraft back to lighten the load on the nose wheel. If you have the luxury of a run up pad or solid ground in take-off direction, apply full thrust against brakes. Rotate at the correct speed and immediately check the nose gently forward to make maximum use of ground effect. Climb away and drop flaps when you have cleared the obstacles. In soft ground, the wheels sink into the ground or sand or long grass causing so much wheel drag that you may never reach flying speed. Most of the wheel drag comes from the nose wheel. The trick is to get the weight off the nose wheel as soon as possible by pulling the stick all the way back as the throttle is opened allowing the slipstream to push the tail. The second trick is to quickly transfer the weight of the aircraft from the main wheels to the lift off the wings. With the large angle of attack of the wings with the stick back, a lot of lift is generated even at low speeds, thus reducing the weight and consequent drag on the wheels. As the speed increases, the stick is eased forward until the take off becomes quite normal as the wheels run on top instead of in the sand or grass or mud. A refinement of this procedure is to put on maximum lift flaps at the start. Use this system on sandy, muddy, extremely rough runways or runways covered with tall grass. This method is not meant for short field take-offs or obstacle clearance but ONLY for taking off from soft runways. CAUTION: Pilots must exercise caution to release the stick as the take-off speed increases. With the high angle of attack used here, the aircraft may start flying even at a very low speed in ground effect, especially low wing aircraft on the back of the drag curve, which could be a very unhealthy place. Make quite sure the stick is neutralized before rotating proper. This system of soft field take-off does not work with T-tail type aircraft like some Piper Arrows. If you feel that your best option is to proceed, then fly the aircraft in such a way as to see and readily be seen and at such a speed that you have adequate warning of any obstructions. ◦ Fly 200ft below the cloud base; keep a minimum ground clearance of 500ft. If the cloud base lowers further than 700ft, an alternative landing ground must be sought. Lower flaps: to approx. the 20o or II position, for better manoeuvrability at the lower speed a more nose down attitude and hence better vision permits the use of more power at the same speed, giving better response on the tail surfaces. Variable pitch propellers in the climbing rpm position: if extra power is needed to avoid obstruction, it can be used immediately. Conserve all available water – water is the most important element in surviving. The human body’s limitations are: 4 mins without oxygen, 4 days without water, and 40 days without food. Protection: is to keep warm, dry and comfortable using available resources from the aircraft or surrounding terrain. Water: start at once to ration available water. Movement, walking, running or hard physical exercise should be carried out during the cool part of the day to avoid water loss by sweating. Food: important but less crucial than water, as a healthy man can survive several weeks without food. Use all available material at hand to control your body temperature. Construct a wind-proof but well ventilated shelter, especially if you have the means to make a fire. Arrange and set out your signals to draw attention of rescue parties and search aircraft. Organise a good water supply. You might decide to move, as you don’t have water… This should only be done if you remember having seen landmarks or a river before your emergency landing, and if you know that there will be no search party for some time. Think this action through carefully. Winds: always be aware of wind direction over the tops of the mountains as well as between them. If flying over the top of mountains in windy conditions that exceed about 30 knots, fly at least 1000ft above the tops so that you are not affected by the severe turbulence of rotor winds. High winds and turbulence’s in canyons and valleys are extremely dangerous and it’s best to stay out of it completely. Downdraft and updraft: if flying in a canyon, gorge or narrow valley, always be aware of where the downdrafts and updrafts are. Pay attention to turbulence. Remain in a position to turn toward lower terrain. This means flying along the side, not in the middle, of a canyon or valley. If caught in a downdraft, turn away towards low ground and fly ‘downhill”, do not try out climb it. If possible always keep to the side that has the least turbulence and no downdraft or ‘rotor winds’. Fly along the side that offers smoother conditions and a possible updraft. If you encounter a downdraft or severe turbulence, immediately turn away and fly on the opposite side. With proper knowledge and training, flying in the mountains can be safe and rewarding. Fly aircraft all the way down then round out and flare as per a normal power off landing! If you happen to contact ground before being able to manoeuvre the aircraft into a suitable landing space, your forward and vertical speed should be low enough to offer a very good chance of survival. Approach them courteously and with respect. Enquire about the things that can create a subject for discussion. When asked for a bribe and there is no way around, have some small notes ready- don’t wave a full wallet or 100$ bills. 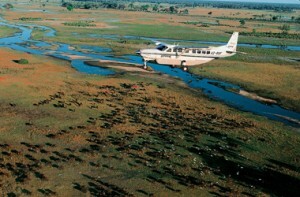 Aviation Direct has a comprehensive database of airfields and bush strips in southern Africa, which is available in printed format in the Airfield Directory as well as in electronic format in the EasyPlan and EasyCockpit. These are fantastic aids for pilots and provide all the necessary information to make your flight as safe and easy as possible.